Avon has the world's largest direct-selling workforce. Even boutique firms are sometimes successful in sparking change. U.S. markets are declining along with crude prices. Avon CEO Sheri McCoy appears to be coming through on her promise that a U.S. exit can translate into significant shareholder gains. Central Banks are getting a lot of attention today. 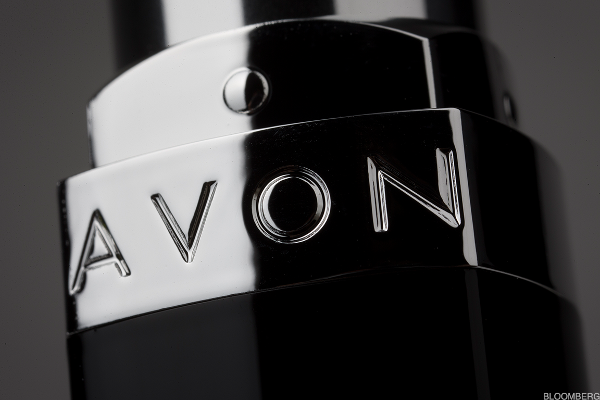 Many doubted Avon could turn around its shares. They should have listened to Cerberus Capital, which is now reaping a big payout. Stressed Out: Avon Products Regains Footing, But Is It Ready For Recovery? Avon Products has clawed its way back up to the level it was before announcing its partnership with Cerberus in December. Three 'Stressed Out' stocks show more technical staying power and profit potential. Stressed Out: Will the Real Avon Please Stand Up? Avon's is showing some volatility post-earnings. The stock's chart might explain which way it's headed. In a quest for fairness in the stock markets, humans will end up suing the machines. TheStreet’s Real Money team discusses the ‘Stressed Out’ index of 20 troubled companies and the leading reason many of them are on it. Stressed Out: Is Avon Using Vanishing Cream on Its Cash? It's not a good look for the fragrance and cosmetics maker to tout $2.3 billion in debt, while cash keeps disappearing from its books. U.S. stocks moved to session lows by the middle of the day on Monday as crude oil hovered just above the $31 a barrel mark.